While many of us use Senyos laser dub for different patterns, I hear more often than not people telling me that when they think of using laser dub, they think that it can only be used for streamers. 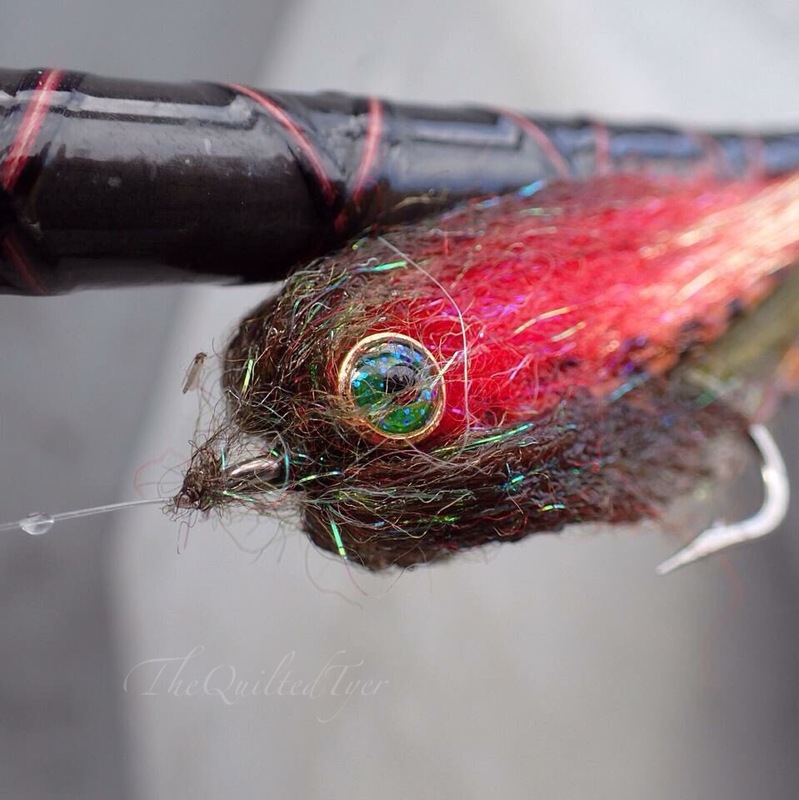 A Laser Dub laden bass streamer after taking a dip in the lake! But That isn’t the only way to use it, another way is for dubbing on small flies! 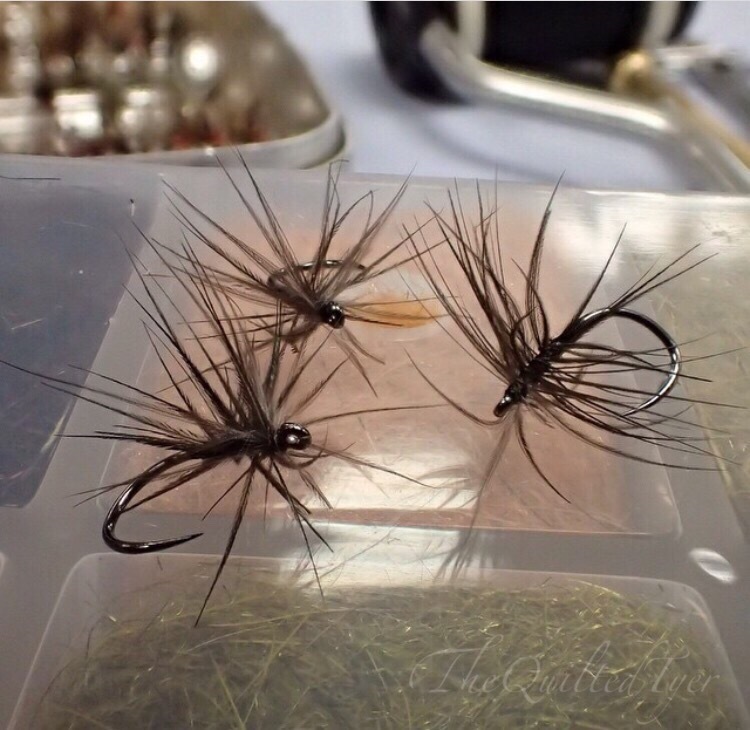 The Stewart’s black spider below is a great pattern using minimal materials and it’s tied small. Quite small sometimes. The thing is that when I’m fishing a black spider in every day sunny type weather, it works great; but that weather isn’t always so. I find that small flies on dismal cloudy days (especially when blue wings olives are present since they love that weather) do well when you add a little bit of sparkle to them. And thats where that material comes into play. Its fine enough for small flies, finer than the usual ice dub we use and gives just enough to get the attention of a hungry trout. 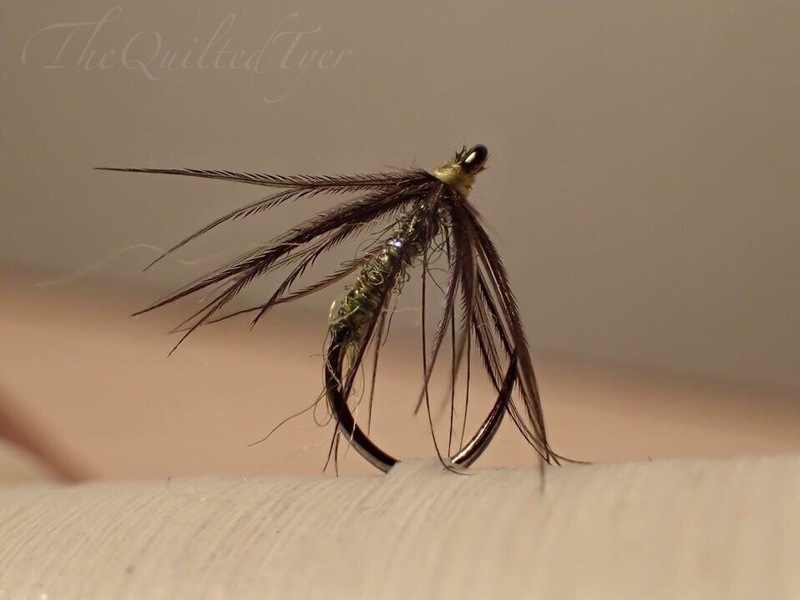 So instead of wrapping that Hackle back like on a normal Stewart’s spider you just keep with a couple minimal wraps up front and dub the body with only that of Senyos Laser Dub in olive. I hope this will inspire you to experiment with this laser dub in a new way!